With the increase in popularity of cycling – both motorized and nonmotorized – comes a comparable increase in the number accidents suffered annually by cycling enthusiasts. When you’re on a bike or motorcycle and get in an accident with a car, you are far more likely to suffer serious injuries than if you were also driving an automobile. There are many things to consider following such an event, but your job is to focus on healing. If you need help recovering money for things like property damage and medical expenses, a personal injury attorney can help. Gregory A. Yates and Michael Shubeck have been successfully representing accident victims for a combined time of more than three decades. They understand the full extent of financial loss that can come from such an unfortunate event; both current costs like time out of work to recuperate, and future costs like pain and suffering. It’s their goal to pursue fair compensation for your loss, so that your only job is getting better. Regardless of whether you’ve suffered life-threatening injuries or minor ones, getting good medical care is paramount to your future. It can mean the difference between recovering fully and suffering permanent damage from your injuries. Do your research and consult a local personal injury attorney to locate the best doctors and facilities in which to receive treatment for your particular issue. You’ll never regret demanding top quality medical care! However, doctors and hospitals charge a lot for their services, and sometimes insurance doesn’t cover these costs. This is where enlisting the help of an experienced personal injury attorney can be invaluable. He or she will work with your insurance to make sure all of your current and future expenses are covered. The best way to survive an accident is to avoid it in the first place. Wearing a helmet, obeying traffic safety laws, and being aware of your surroundings are all ways to protect yourself. However, even if you are extremely careful, a motorcycle vs. car accident can happen. 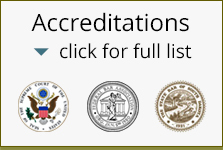 When you find yourself needing to consult an attorney to pursue a settlement amount, check out the Rapid City Law Offices website. Read about some of the large personal injury case compensation amounts they have won for previous clients. Call today and find out how they can help you to receive the compensation you deserve, so that you can have the peace of mind to focus 100% on your recovery.